At Excel, "Building Better Drivers is our passion." We are a proud community of Professional Drivers, Driver Leaders & Safety Managers who whole-heartedly commit to growth as a company through team success. Sustainable growth & employee satisfaction is important to us, so we strive to accommodate our teams' satisfaction needs on a one-to-one basis to grow a healthy working "family" environment. Driver Leaders - Who Are They? 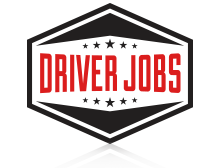 Earn $1,000 – $1,250 as a Driver Leader with an opportunity to drive for our freight division for even more additional income!! Take advantage of our full-time coaching positions, part-time training schedule, or driving opportunities. We invest in our employees and in our families. For instructors who prove their skills, we will pay for your schooling to become a State Certified 3rdParty CDL Tester.